Our Santiago Airport Hotel, Holiday Inn Santiago Airport Terminal, caters mainly to transit passengers in Santiago de Chile, who wait for the time to board their next flight. Its location cannot be more convenient as it is just a few steps from the Comodoro Arturo Merino Benitez International Airport. 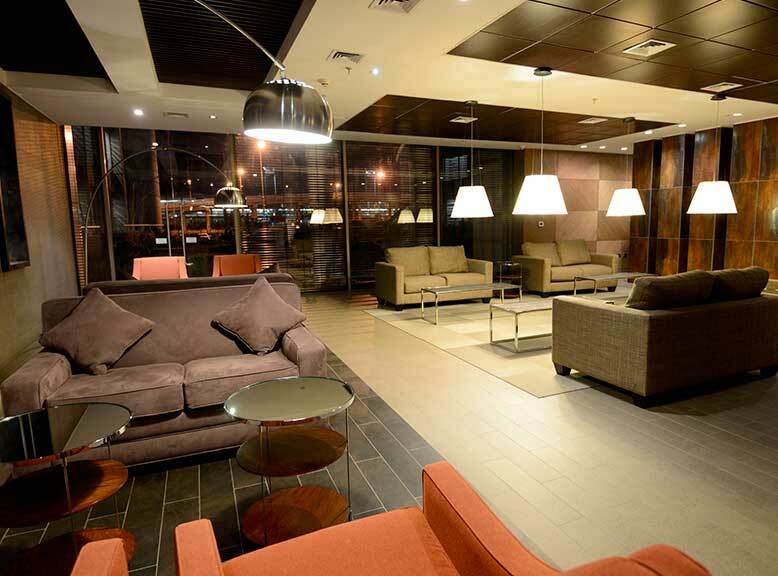 Santiago, Chile Airport Hotel – Holiday Inn. 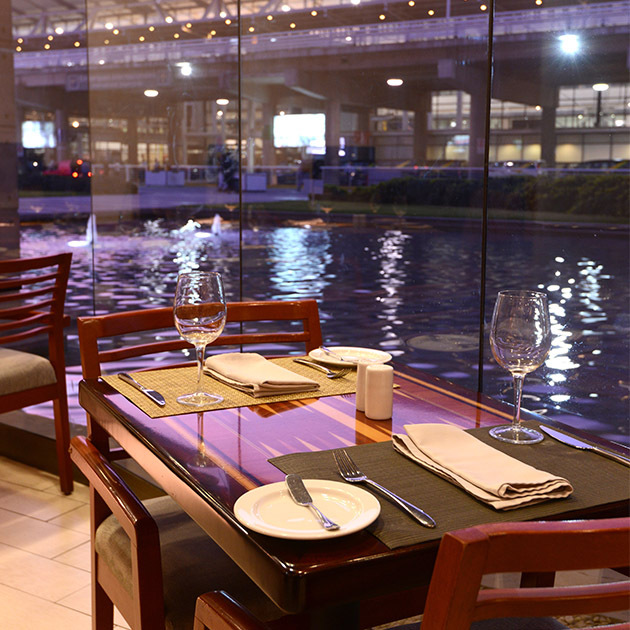 Important cities all around the world already count with hotels inside their airports and Chile is not the exception. 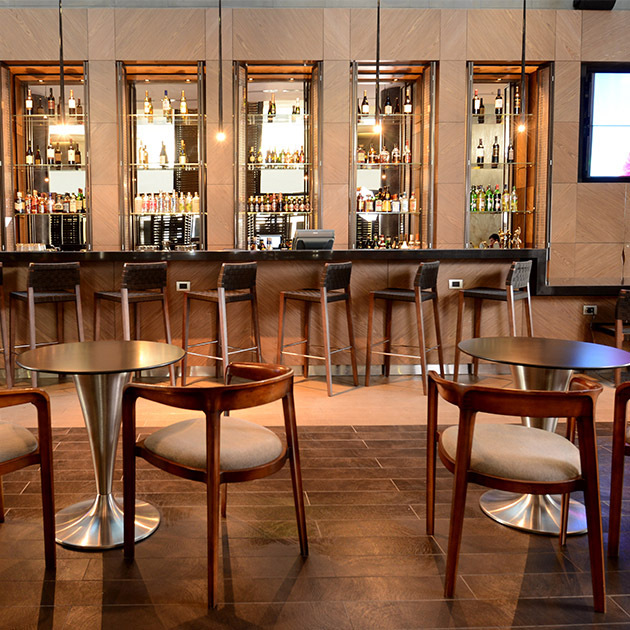 At Holiday Inn we count with an exquisite Grill Restaurant and the Boarding Bar, where you will find the best selection of Chilean wines. 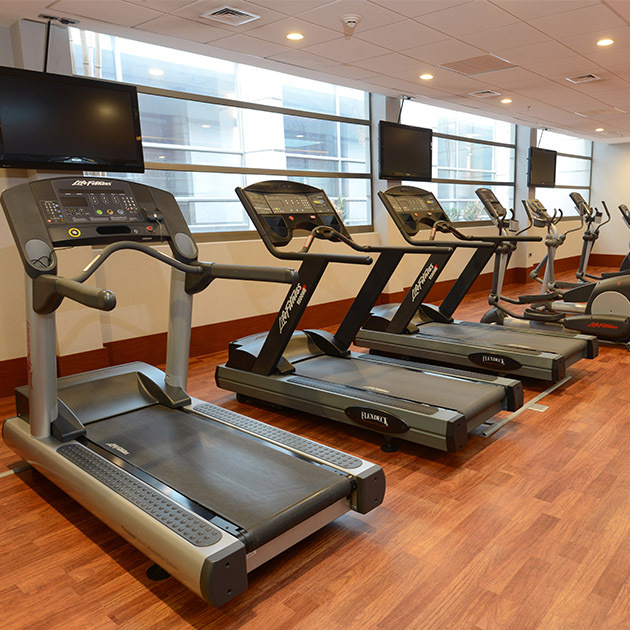 Besides, the following services stand out: flight information screens directly connected to the airport, Wi-Fi internet, access to the gym, parking lot, heated swimming pool, jacuzzi and sauna. Our Santiago Airport Hotel counts with a privileged location for travelers all around the world who are preparing for a new destination or are renewing energies with an exquisite sauna or our pool. It is barely a few steps away from the Comodoro Arturo Merino Benítez International Airport, thus we principally care for passengers in transit by Santiago of Chile, and who wait for the time to board on their next destination. From the airport you can go to the center of the city by taxi, transfer or bus. Santiago is a popular destination for snow lovers due to its closeness to the Andes Mountain which counts with some of the most modern and visited centers to practice ski and other white sports of all South America. We highly recommend you to visit Valle Nevado, El Colorado, La Parva or Portillo. 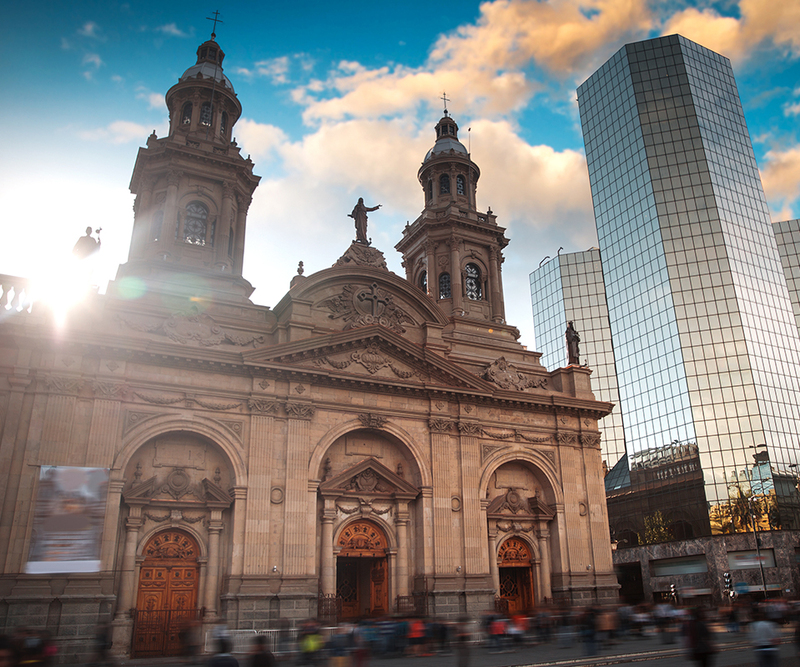 In the center of Santiago you will find touristic attractions such as La Moneda Palace, Plaza de Armas, the Santiago Metropolitan Cathedral and the Paseo Ahumada. Our place is perfect for you. 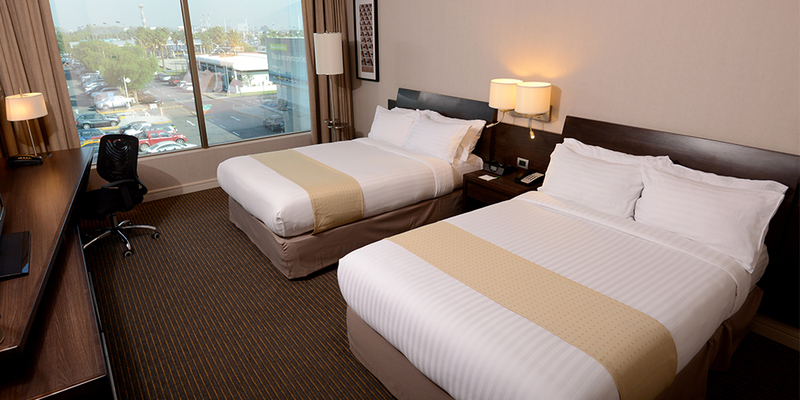 At Holiday Inn Santiago Airport Terminal you can choose a King size bed or two Queen size beds. 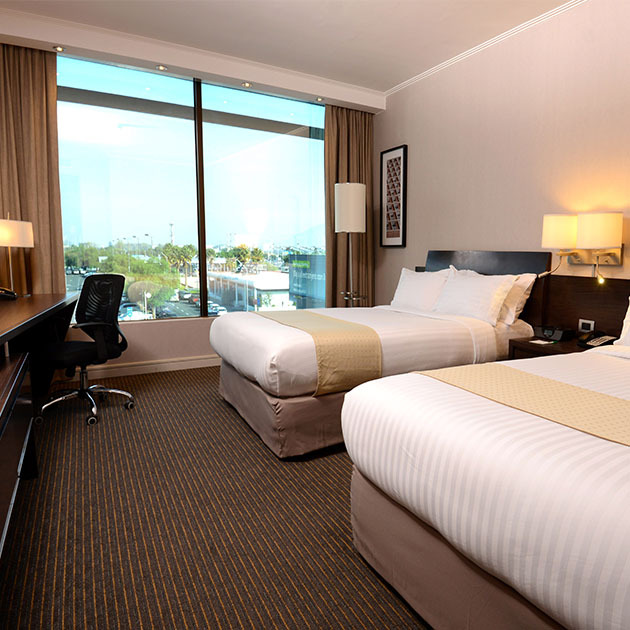 You will also find services such as Room Service, ironing board and complimentary coffee machine. Location: Armando Cortinez Norte #2150, Pudahuel. 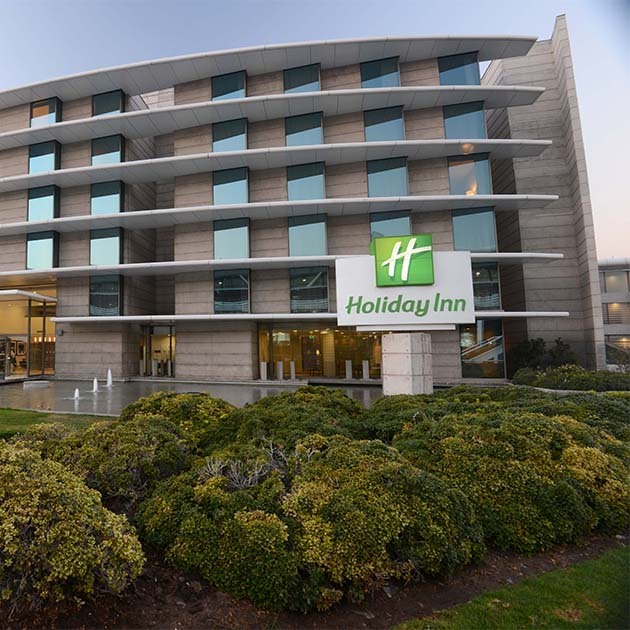 Holiday Inn Santiago Airport Terminal features a variety of rooms. 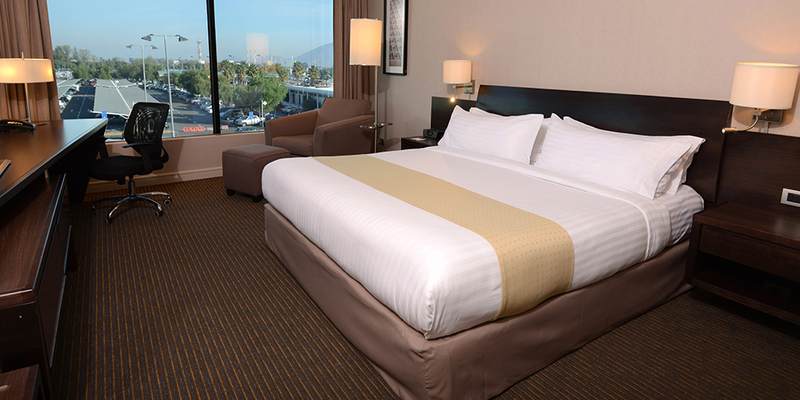 We offer various facilities that will make your stay comfortable. An interactive space especially dedicated to the family. The Zona Innteractiva aims for children between 3 and 12 years old to have fun with their families by using technologies, images and interactive and analog games. Days: Saturdays and Sundays, open upon availability. Opening hours: From 9:30 to 20:00 hours. Holiday Inn Express has several meeting rooms, which makes our hotel the best choice for location and convenience for meetings and conventions. Santiago is a popular destination for snow lovers because of its proximity to the Andes Mountains. Here are some of the most modern and visited resorts in all South America to practise ski and other winter sports. 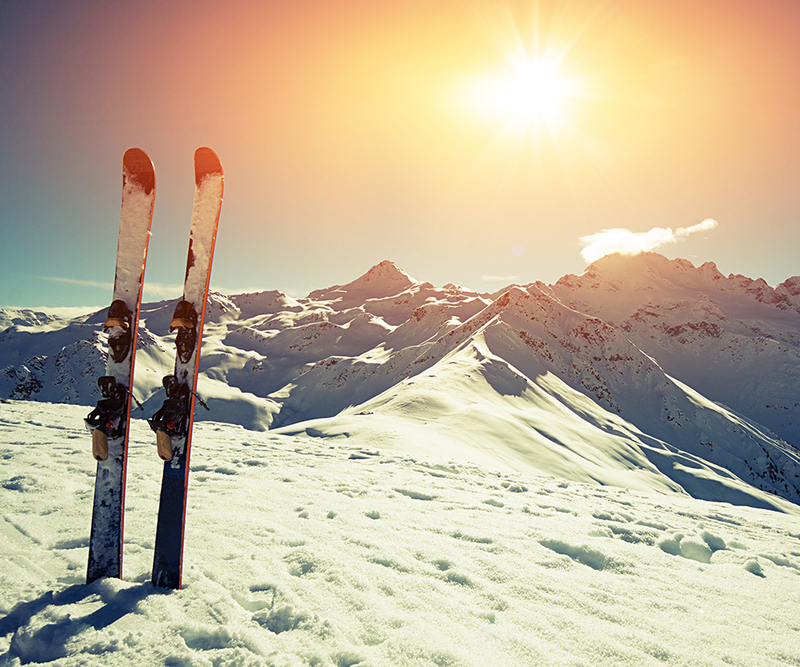 We recommend you to visit Valle Nevado, El Colorado, La Parva or Portillo. From the airport you can get downtown by taxi, transfer, or bus. The journey can take between 40 minutes and 1 hour, depending on traffic. In Downtown Santiago , there are tourist attractions like the Palace of La Moneda, the Plaza de Armas, the Metropolitan Cathedral and the Paseo Ahumada. 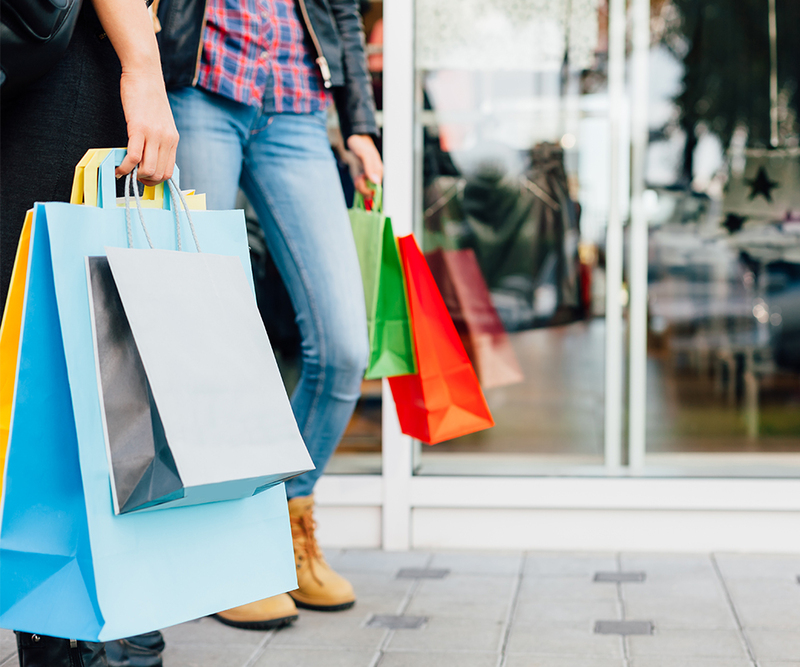 Near Holiday Inn Santiago, in the commune of Quilicura, is the sector of Buenaventura, which groups several outlets: Arauco Premium outlet malls (O'Higgins 581), Plaza San Valentín (Manuel Antonio Matta 437), and Easton Outlet (Av. Presidente Edo. Frei Montalva 9709). They have commercial premises of the most diverse brands, entertainment options and food courts.